Couponista Queen received compensation for this post. All opinions are 100% authentic. “#1 Dad!” “World’s Greatest Dad!” “Best Dad!” No matter HOW you say it, we can all agree that Dad is one special guy, and Father’s Day is the one day a year that is set aside just for him. My Dad really IS the greatest dad ever, and I want to show him my appreciation of the millions of things he does for his kids. Every year I struggle with that age old question of, “WHAT in the world do I get for the man who has everything and wants nothing? I mean, he already has an awesome daughter hehe!” Don’t settle for a tie or a coffee mug or another whatever-it-is with “#1 Dad” on it. Don’t stress. Instead, grab a nice beverage and settle in to take a look at this Father’s Day Gift Guide that Couponista Queen and Mommerce.com have put together for you, and get dad something he really wants…accompanied by a handmade card from YOU optional but encouraged. Non-iron sport shirt, made from Supima® cotton oxford. Original Polo® button-down collar. Center back pleat. Front placket. Golden Fleece® embroidery at left chest. Contrast color on inside collar and cuffs. Deep yoke. Machine wash. Imported. Also available in Slim fit. They have many different colors to choose from, though I’m very partial to this blue color because it matches my dad’s eyes. As the country’s oldest clothing retailer, Brooks Brothers is proud to uphold the same traditions and values for nearly two centuries. We believe these are the reasons why our customers consider us to be far more than a store. You can learn more about the Brooks Brother’s history and heritage HERE. 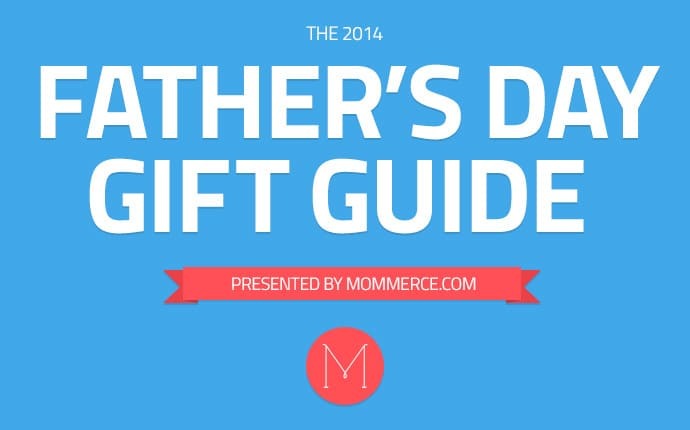 Be Sure to take a look at their full Father’s Day Gift Guide! You’re gonna love what they have to offer. Tessemae’s All Natural is the world’s fastest growing fresh condiment company. It started when the oldest of three brothers marched a Tupperware container filled with their mother’s homemade salad dressing recipe into the grand opening of a local grocery store back in 2009. Over the next 5 years, the brothers have achieved national distribution in Whole Foods Markets and Safeway grocery stores with a complete line of “clean” salad dressings, marinades, rubs, and sauces. Tessemae’s has just launched their new Father’s Day Grill Pack. Complete with Ketchup, Honey Mustard, Teriyaki Sauce, Hot Sauce and brand new Slow Roasted Garlic Spread, this pack delivers the same real, simple, bold ingredients that can be expected from Tessemae’s. The must-have culinary accessory for any dad who wants to perfect his grilling skills this summer, Tessemae’s is the perfect complement to grilled veggies, meat or protein. Using only all-natural ingredients (ones you know and can actually pronounce!) and made with no refined sugars, these paleo-friendly, dairy free, spreads and marinades can turn any BBQ into a real culinary feast. From now until June 10th, Tessemae’s is offering a special price ($25) for the entire grill pack with guaranteed Father’s Day delivery. A great gift to give that special dad or grad in your life more power and protection for his iPhone 5s or 5. The Duracell Powermat wireless charging pad and PowerCase together make powering and protecting your iPhone 5s a breeze. The PowerCase’s built-in 2000 mAh battery provides up to 100% extra battery power, while shielding your iPhone from nicks and bruises. The PowerMat lets you recharge your iPhone and PowerCase wirelessly by simply placing them on the mat—no need to plug in your iPhone. And if you’re at a different location from the PowerMat, you can also recharge your iPhone and PowerCase with a micro USB cable through the USB port on the case. You can find these at the Apple store! Impress Dad this year and still get a Deal from your friends at Omaha Steaks. Succulent and tender – Dad’s sure to love our Filet Mignons. Bold, beefy and naturally lean, Top Sirloins will take Dad’s grilling to new heights. Add genuine Omaha Steaks Burgers, ground from our own lean beef, and Boneless Pork Chops and you’ve got something to impress every pop! Order now – Father’s Day will be here before you know it! There you have it! NO boring ties and NO coffee mugs…just awesome gifts that you will be proud to give dad and he will be thrilled to receive. Make him feel like the #1 Dad that he is. And let’s face it…getting a better gift for dad than your siblings do is pretty awesome. Getting dad something he will really enjoy is pretty priceless.